PORT WENTWORTH, Ga. — Wreckage from a military plane has been removed from a Georgia highway and taken to a new site two weeks after a deadly crash that killed nine National Guard airmen. The military said in a news release Wednesday that remains of the crashed C-130 Hercules cargo plane have been taken to a holding facility at Joint Base Charleston in South Carolina. 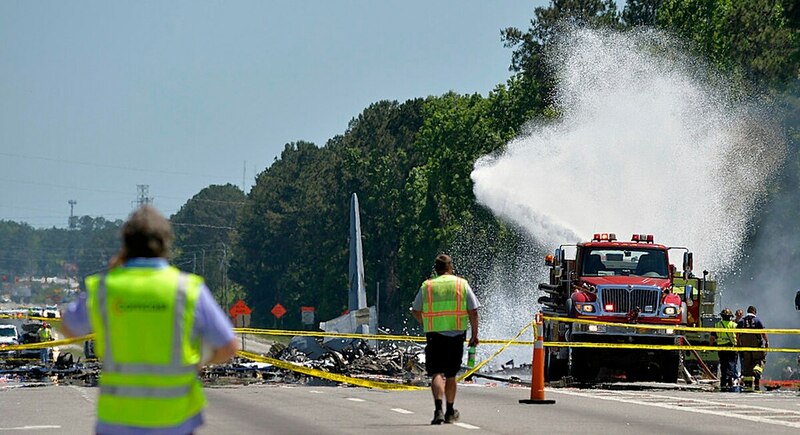 But Air Force Lt. Col. Matthew Brennan said the busy highway at the center of the crash site near Savannah remains closed and it’s too soon to estimate when it might reopen. The military is still investigating what caused the crash.